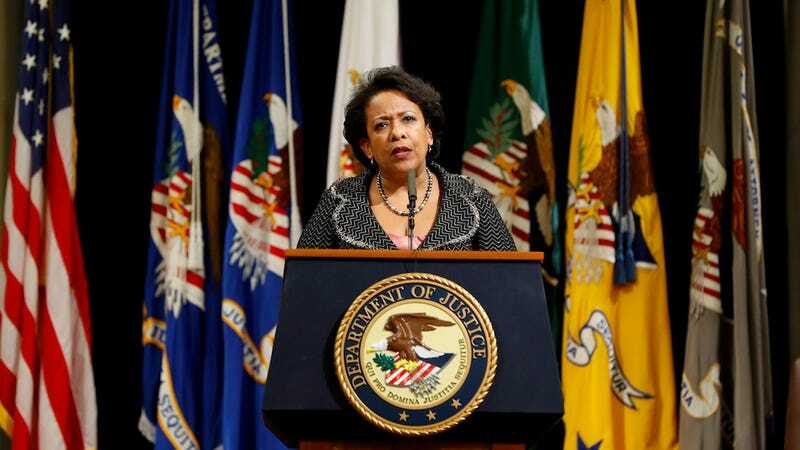 After conducting hundreds of interviews, observing training sessions, and watching police in the field throughout 2016, the DOJ Civil Rights Division “found that this pattern or practice is in no small part the result of severely insufficient training procedures and accountability systems,” stated Lynch. Vanita Gupta, head of the Civil Rights Division, then took the mic to share more of the DOJ’s damning findings. The report “shows examples of shooting at people who aren’t immediate threats and tasing people for not following verbal commands,” said Gupta. We found that this pattern of unconstitutional force is largely attributable to systemic deficiencies within the CPD and the city. We found that CPD does not adequately train its officers to use the appropriate amount of force. For example, we observed training on deadly force that used a video made decades ago with guidance inconsistent with both current law and internal policy. We found that CPD officers do not fully report their uses of force and that supervisors are not appropriately viewing these uses of force. We found that Chicago’s accountability systems are broken. Many complaints that should be investigated are not and when investigations do occur, they are glacially slow and staffed by over worked and undertrained investigators, who often fail to obtain basic witness statements and evidence. Officers are too rarely held accountable for misconduct and when they are, discipline is unpredictable and ineffective. We found that CP’s approach to data collection on the use of force prevents CPD from spotting dangerous trends, responding with remedial training, and sharing information that would be useful to the public. We found that CPD’s promotions system is not transparent and we found that CPD is failing to provide officers with the support they need to deal with the stress and trauma of their jobs. The press conference represented the CPD as earnest to correct their mistakes and rebuild relationships and trust with the Chicago community, which has seen record-breaking highs in murder rates in the past year. Chicago Police Department Superintendent Eddie Johnson was also eager to to assert the CPDs willingness to reform. As superintendent, and for anyone who wears the CPD star, some of the findings in the report are difficult to read, but it highlights the work we have yet to complete to restore the trust between the department and the communities we serve,” said Johnson. “Unconstitutional policing has no place in CPD or the city of Chicago. This DOJ investigation—and another similar investigations in cities across America—is one of the final acts of the Department of Justice under Attorney General Loretta Lynch and President Barack Obama. The Chicago probe is the largest pattern and practices investigation in the Justice Department’s history, Zachary T. Fardon, the U.S. attorney in the city, said last fall, though the Puerto Rico inquiry involved a larger department. Still, left unclear is what happens to the negotiations between the city and the Justice Department when it has new leadership. The incoming administration is expected to be less aggressive with police departments, a sense enhanced during the confirmation hearing this week of Sen. Jeff Sessions (R-Ala.), Trump’s pick for attorney general. Based on the contents of the DOJ report however, entire departments aren’t “doing their work consistent with fidelity to law and fairness,” as is the case with police departments throughout the country.